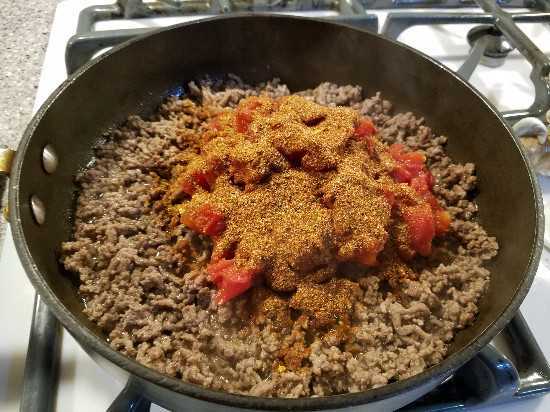 Looking for something different to do with ground beef? 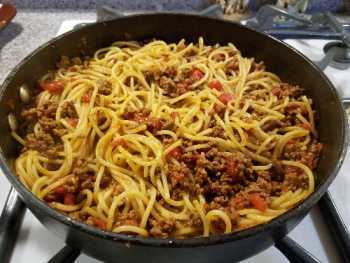 This easy to make skillet dish is delicious! With just a few ingredients, the entire family will love this! 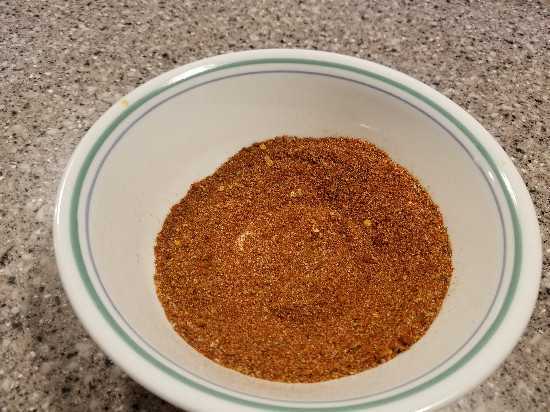 Taco seasoning spices (see below) or 1 package of taco seasoning mix. Cook beef in large skillet over medium-high heat 7 minutes or until crumbled and no longer pink, stirring occasionally. 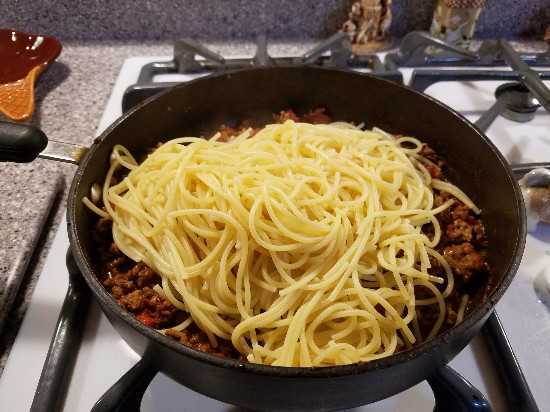 While the ground beef is cooking, break your spaghetti noodles in half and cook per instructions on box. 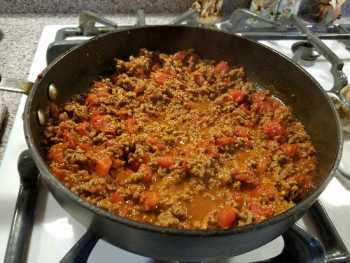 Continue to let the ground beef simmer while adding seasonings and tomatoes while spaghetti is cooking. 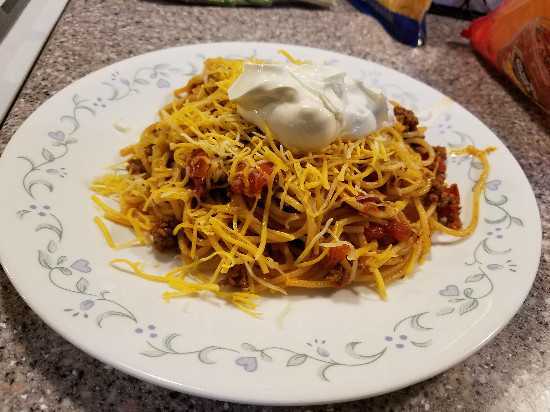 Optional: Top each serving with shredded cheese and sour cream.